We needed something that was easy to carry around, looked aesthetically pleasing, offered good protection, and was lightweight to ship around the world. 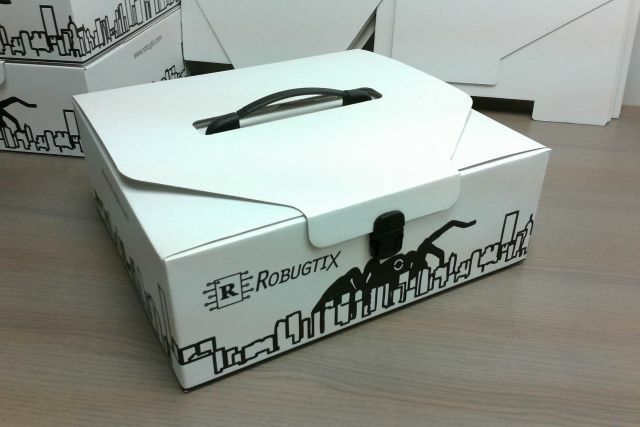 The box features a sturdy handle on the top, a buckle to lock the lid shut, shock absorbing foam on the inside to keep the product safe, and a scary 200-meter high spider robot taking over the city. Here’s what the finalized box looks like. 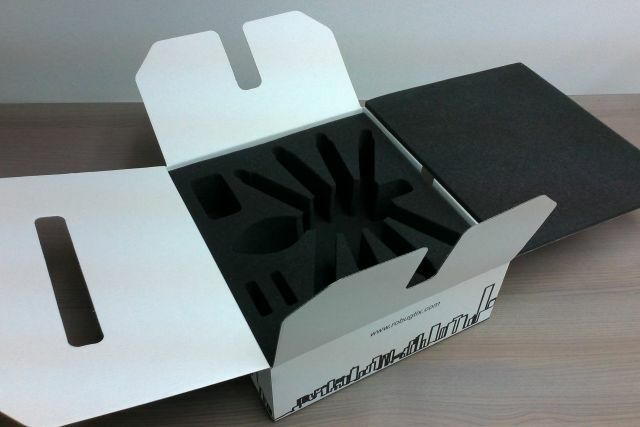 To keep the weight low for shipping, the box is made of corrugated cardboard. 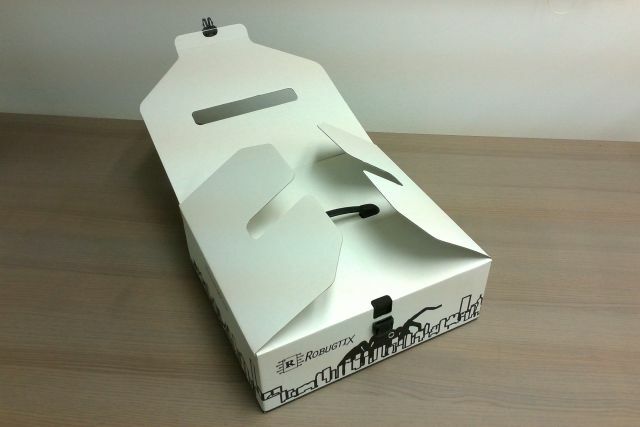 The box has been designed so that the top side is reinforced with 3 layers of cardboard which helps to support the weight of the product when carrying it from the handle. Extra cardboard layers are located only where it is needed the most, keeping the structure sturdy, yet very lightweight. 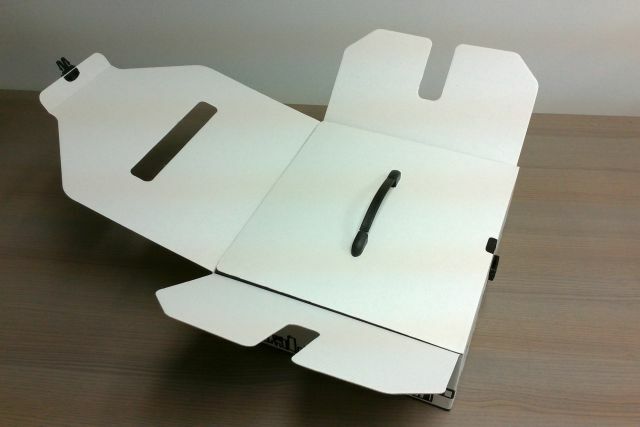 To lock everything in place, other cardboard boxes would normally feature a small folded tab to keep the lid closed. While simple to manufacture and practical, it’s also something that can wear out quickly after several uses, so instead of a flimsy tab, a quick snap and release buckle is used here instead. To keep the box in good conditions during shipping, we plan on wrapping the entire box in brown packaging paper before we ship the item. This means that all shipping labels and tape will be applied onto the brown paper instead of onto the box. 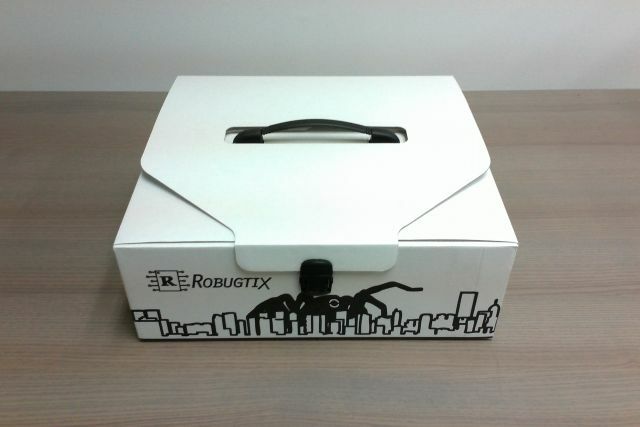 This should also protect the box against unwanted dirt and smudges during shipping. It’s official! We’re launching on April 30, 2015! After launch, we expect to fulfill all pre-orders within a 3-month time frame after the first unit is shipped. 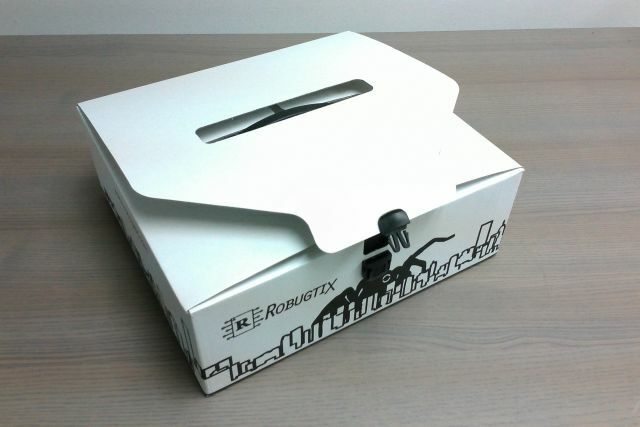 Emails will be sent to each customer individually one week before their robot is ready. The next blog post is right before launch! Stay tuned!